After a year of blogging, I started looking for additional sources of income other than Google Adsense and Nuffnang. So far, Lazada’s Affiliate Program has the highest potential. I already have several articles about the latest gadgets in the Philippines. Most of these phones and tablets are being sold online by Lazada. I then created affiliate links on my article in a form of a ‘Buy on Lazada’ button. If my readers click on that then proceeded to buy on Lazada, I get a commission. To join Lazada’s affiliate program, you can just sign up here. Please respond to the confirmation email that you were referred by Daniel Gubalane. You must have an online audience whom to promote products like smartphones, cameras, dresses or other items. If you have thousands of followers on Facebook, that’s already a very good audience. Twitter and Instagram are also good alternatives. However, the best choice is a blog. If you don’t have any of these yet, start right now! Create a free blog on blogspot.com or start a Facebook page. 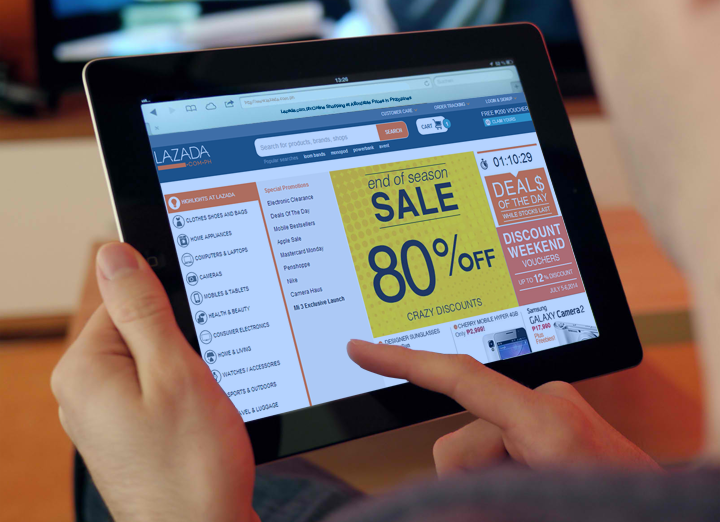 Lazada offers banner ads and text links. Their new platform even offers banners with dynamic ads. This means that different ads will show on the same spot so that your readers won’t be bored by the same ad showing over and over again. However, I find the text links more effective and that’s what I’ve been using. To create a text link, just copy the Lazada URL of the product that you want to promote. You then go to the Deep Link creator and paste the URL on the Add Website text box. You’ll then have your affiliate text link. You can now use this link in your blog posts. You can even share it directly to your Facebook page or Twitter followers! If you decide to use Lazada’s Affiliate Program, drop a comment below with your experience. Do you think they really have a very good potential? It has been almost two years since I first published this article. My earnings from the Lazada Affiliate Program has been very healthy. On average, it makes up about 30% of my earnings and reaches up 50% to 60% when they hold a SALE with additional incentives for affiliates. How was your experience with this affiliate marketing program? Did you actually earn already or is it just "potential" up to now? Hello Andrei! Affiliate marketing currently makes around 20% of my income online. Hi there! If I join the Lazada Affiliate Program, does it mean I have to let go of Google Adsense and Nuffnang? Thanks. No. You can have all three on your website at the same time. Hey saw your blog, I'm also doing the same thing. looking around for ways to earn some extra income online through ads on blog and etc.. Sorry not really to promote my post but maybe you might also want to try out this options. Hi just wanna ask.. I am also a Lazada Affiliate. I am a bit confused coz I purchased some items using the ads I have created in my website, in my publisher account it only shows number of clicks and impressions but it doesn't show any conversion or payout, why is that? the items are now in delivery status, when will be the conversions or payout appears in my publishers account? I am really worried I might not get commissions with those purchases I made. can get better commission rate from other affiliate program..
Can you share us your success? Lazada Birthday Sale Day The 4-Day Birthday Sale Starts This Midnight!